ARGNet is SciFi’s Site of the Week! July 23, 2008 / Jonathan Waite / Comments Off on ARGNet is SciFi’s Site of the Week! As television stations go, we’re big fans of Sci Fi, and not just because they named us the Site of the Week earlier today. With original programming like Battlestar Galactica (the best show on television), the 4400 (which had an ARG of it’s own) and the Stargate series, it’s hard not to be a fan of the network. 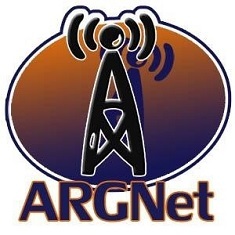 Thanks to Ken Newquist at Sci Fi for recognizing our efforts here at ARGNet, and as we told him in an email a few minutes ago, it comes at a great time for us, as we have a series of articles coming this week on ARGFest-o-Con 2008, which officially wrapped upon Sunday this past weekend. Look for the first in the series to hit the site later today, with the rest coming in the next few days!